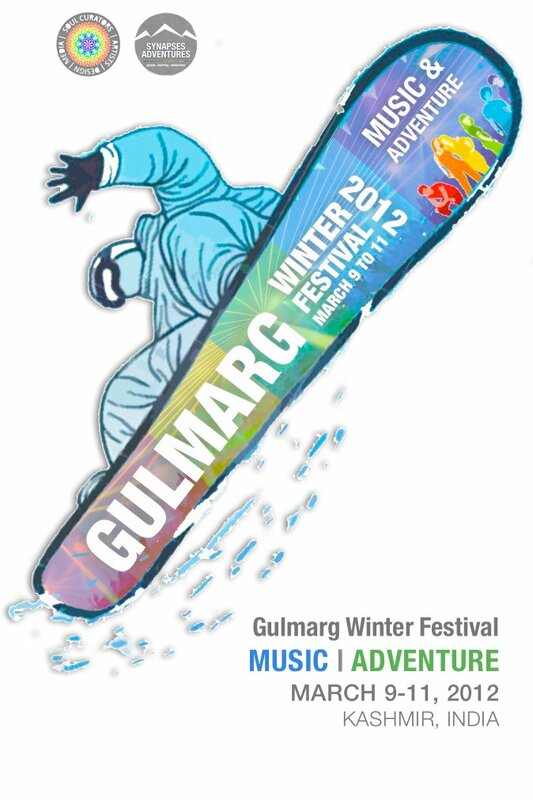 Gulmarg one of most beautiful destinations in the world, now hosts an iconic event this winter. Categorized as India’s first Music & Adventure Winter Festival, the event is a celebration of winter sports, great music, wonderful people, vibrant cultures and sumptuous food, all with a common backdrop. Picturesque Himalayas, and lots of snow! The festival promotes International Winter Sports such as Skiing, Snowboarding. It adds World Class Music across different genres, while showcasing some of the best and upcoming talents across the country and also offering local artists an opportune stage. That apart, the festival is also a doorway to the ever lively and sparkling Kashmiri culture. Complete with its share of history, folk lore, art, handicraft, generous hospitality and the delicious mouth watering Kashmiri cuisine. With these factors as its elements, The Gulmarg Winter Festival, promises to showcase a first of its kind winter festival in the country, set to leave one and all spellbound!! Adventure Icons of India l A.I.I. – The Adventure Icons of India is an open sports community that aims to promote adventure sports in India. The community is a gathering of outdoor enthusiasts and leading athletes. It is further a platform to create a pool of athletes, and enthusiasts across different adventure sports in the country. A.I.I. may recognize, feature, sponsor or promote leading athletes in their fields of excellence across national and international events. A travelling community, it will identify various ‘hot spots’ of adventure sports destinations around the country and promote thee same too. Sounds United Project l S.U.P. – Sounds United Project is a Community of independent artists and musicians in collaboration for creative and inspiring music. The concept is to present artists in their individual capacity, in unique non band format. Musicians work with artists from other cultures, regions, countries and styles to come up with refreshing music rated only by viewers and judged by audiences from around the globe. The community aims at showcasing collaborations with our destination’s local musicians and artists. Creating new genres of collaborative sound that in harmony with the local music & with an international appeal. S.U.P. promotes budding musicians, bands, artists and percussionists in finding new content for their individual tastes and collaborations between the music community nationwide. Soul Film Festival l S.F.F. – The Soul Film Festival promotes creative movies across genres such as adventure, travel and environment. Café Terra Travelers & Organizers Meet l C.T.T. & O.M. – On 08th March 2012. This will be a business conference that will host travel tradesmen, adventure gear distributors and retailers, and other relevant business specialists. The idea of the seminar is to create networking opportunities for the business community. This conference will primarily boost the tourism and adventure industry in Kashmir. Lens Creativity l L.C. – A photography workshop mentored by leading photographers. Also an opportunity for festival attendees to submit their pictures for an online competition to be judged by facebook ‘fans’ of the GWF 2012 ‘page’ and the mentor photographers.